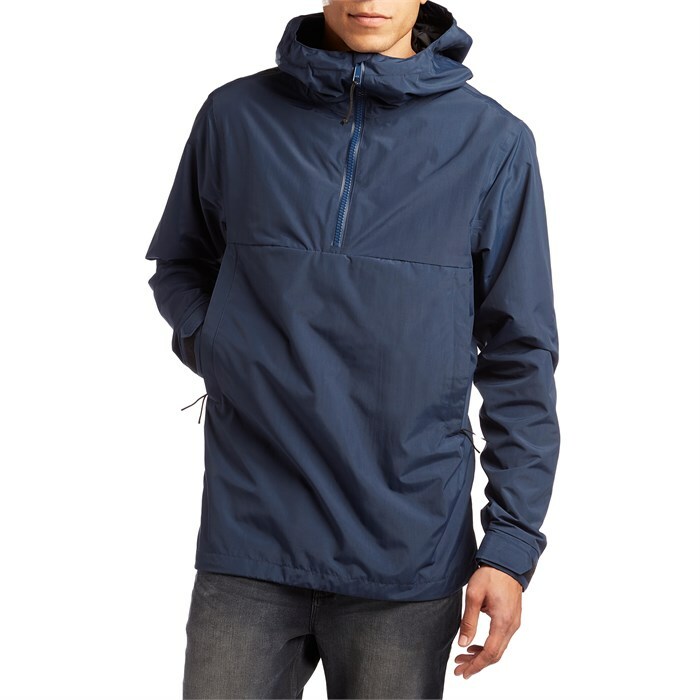 Designed to handle serious precip, the evo Ballard Elements 2L Anorak Jacket is a fully featured rain jacket without the cumbersome feature set of a dedicated shred shell. Sans powder skirt, internal pockets or zipper venting, the evo Ballard Elements Anorak is a simple weather solution you can wear beyond the ski hill - whether you're walking to work, picking mushrooms in the woods or sailing with friends, the evo Ballard Elements 2L Anorak Jacket is a well-rounded piece you can wear just about anytime the weather isn't fair. Pertex® Shield  Lightweight waterproof protection whilst remaining highly breathable. Designed for intense mountain pursuits where weight and breathability are key, Pertex® Shield fabrics allow you to move fast and stay comfortable.